The Ron & Alicia Robinson Florist Affiliate Program is a fast and easy way to add e-commerce to your website and start generating revenue. 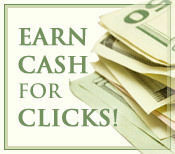 If you have a website, you can join the Ron & Alicia Robinson Florist Affiliate Program and earn money by promoting any of our products from your site using the banner links we provide you. Each time a visitor clicks from your site to Ron & Alicia Robinson Florist to purchase items, you earn commissions. Why Choose the Ron & Alicia Robinson Florist Affiliate Program?